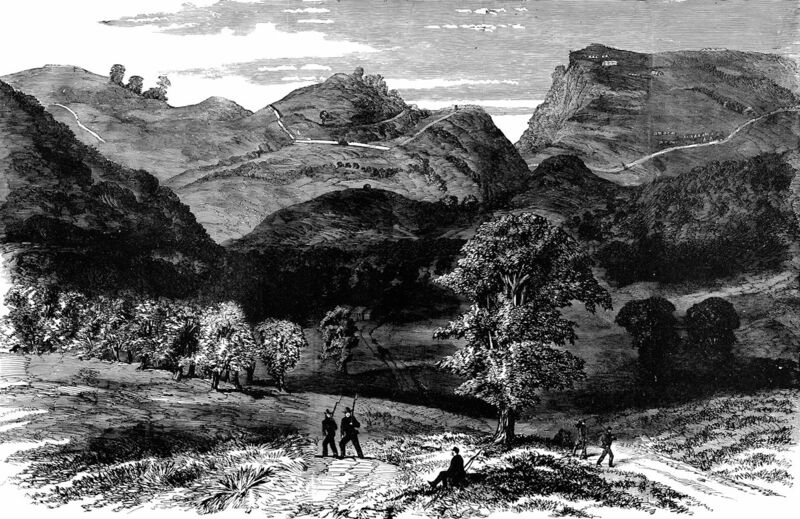 This is a sketch of Cumberland Gap. The description on Internet sites implies the view is from the Kentucky (north) side of The Gap, however, as the landmark The Pinnacle, is on the right side, it is believed the sketch was made from the southern or Tennessee side. Note much foliage has been removed by military and various troop tents scattered across the hills. Sketch by Frank Leslie, Famous Leaders and Battle Scenes of the Civil War, 1896.